Tim began his studies in psychology at the University of Marburg and continued at the University of Mainz after receiving his intermediate diploma. His diploma thesis focused on “Naive personality judgments based on online social network profile elements”. His interests lie in the fields of computer-mediated communication and web-based research, which is why he chose to complete his last internship prior to his final exams at the iScience group. Tim graduated from the University of Mainz in 2011 and continued his work in psychology as a research assistant at the University of Bochum. He worked as a doctoral student in Health Psychology at Jacobs University Bremen, developing a multinational online intervention for cardiac patients. Tim visited iScience group in 2013 – then still at Universidad de Deusto, Spain – with a grant awarded from EU COST Action Webdatanet. Since October, 2013, he works at the University of Konstanz, while remaining an affiliated researcher with Jacobs University. 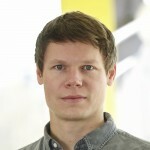 Tim completed his PhD in 2018 with the publication-based thesis “Optimizing measurement in Internet-based research: Response scales and sensor data” and continues as a PostDoc in the iScience group. Kuhlmann, T. & Reips, U.-D. (2014, September). Measuring Narcissism online: Questionnaire development and methodological influences. Presentation given at the 49th Congress of the German Psychological Association, Bochum, Germany.